Speaking at the 2018 BESA National Conference which took place in London on 1st November, Prudence asserted that FMs were best placed to lead the industry’s process of improving how it measures, monitors and improves ‘real time’ operational performance of buildings. 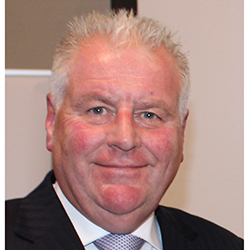 He urged the facilities management industry to step up and grasp that opportunity. “For too long, risk management has focused on whether work could be delivered on time and within budget, and with some element of quality – but the real risk to building occupants is long-term operational performance and business impact,” he said. “When the FM signs off work, they need to make sure they understand the consequences and have the experience and expertise to assess the regulatory risk. “Operational systems thinking is essential in the design team,” he added. 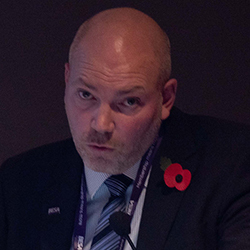 Prudence told the BESA Conference that the industry has the tools to carry out more accurate analysis. However, there is also great value in an experienced professional being able to use their “gut instinct” to decide whether “something just doesn’t feel right” and offer alternatives to the design team. “Grenfell may show that, as with many other retrofit projects, decisions had been taken without fully considering the operational impact even though they were signed off at various stages of the process,” said Prudence. “We have all experienced problems and significant building related incidents in our working lives, but when the s*** hits the fan, it is the real leaders who step forward and do the right things with the information available. As well as the highly regarded CIBSE Guide M for maintenance and management, and other guidance developed in collaboration by CIBSE FM, RICS and BESA, Prudence urged the sector to make proper use of digital tools to improve their overall service to clients including BESA’s SFG20 building management programme. This could help deliver the ‘Golden Thread’ of valuable operational information identified by the Hackitt Review into the Grenfell tragedy, he said. BESA’s head of business development Steve Tomkins added that SFG20 was developing solutions to address the issues identified by the Hackitt Review using the recent update to CIBSE guide M as the foundation. Tomkins explained to delegates that “golden threads of building information” should be created to address the complex issue of change management and help deliver compliance and competence. He said that risk management control would highlight accountability and help to evaluate potential risks linked to proposed cost cutting. “If you have a proper, digital asset model, you can also see what is likely to happen if you make a change to an essential service – like the fire stopping,” said Tomkins. The new SFG20 model will be linked to BESA Training and the Association’s competence registers SKILLcard and REFCOM. This should help end users understand the competence requirements needed to deliver maintenance and check they are only using competent people to carry out tasks essential to long- term performance. “There has been a race to the bottom on cost and quality around building operation because cost is the primary driver in a competitive market with high risks and narrow margins,” Mr Tomkins told the BESA Conference. “Grenfell was a wake-up call and the information chain has to be completed by assigning responsibility – people need to put at the end of a pointy stick and reminded there are consequences to their actions.